Today's 50% Discount Friday item are the Denim Jeans. 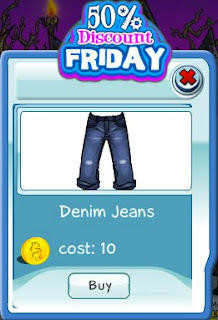 These are the coolest pair of jeans, with the worn-in look, on SecretBuilders. This offer is valid today only, so act quickly.